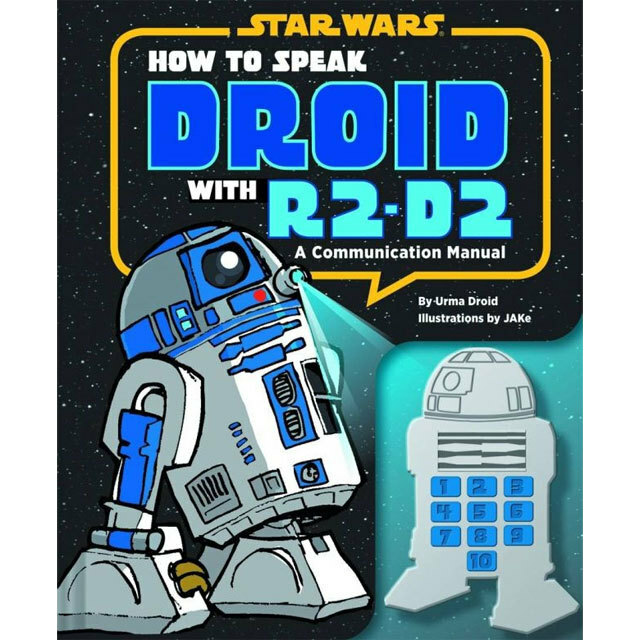 How to Speak Droid with R2-D2 | Interacting with R2 Astromech Droids can be challenging! With a feisty but resourceful R2 unit! Interacting with R2 Astromech Droids can be challenging, especially when you encounter one with a personality as stubborn as R2-D2's! 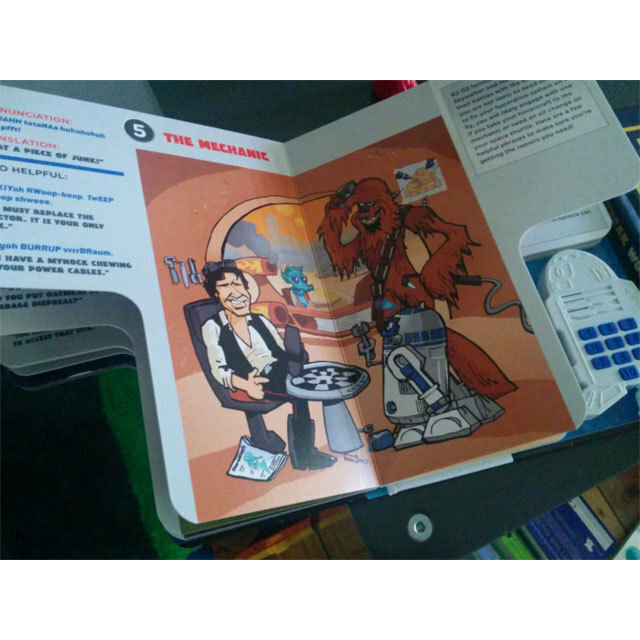 One minute you're asking for a message to be played back, the next moment your R2 unit is whistling, whirring, and rocking back and forth - what went wrong?! Luckily, your How to Speak Droid with R2-D2 book is here to bridge the language barrier and help you understand some key astromech droid phrases. When you're at the mechanic, know when the worker droid is calling your hovercraft a piece of junk (Dwooahh tataNAa huhuhuhuh PFFT-pfft! ), or when your office tech droid is advising you not to run the latest updates on your computer system (BeeYoopBeeDeepBoom Weeop DEEpaEEya!). This sound module guides helps you easily understand the complicated beeps and boops of these feisty little droids by learning 10 key phrases in the Droid language with the aid of a handy sound module recorded by R2-D2! Requires 3 x AG13 watch batteries (included).